The picture is not to scale. The fenders are white, and the side panel is yellow. 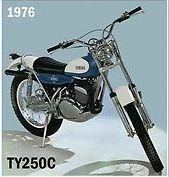 1974-1983 Yamaha Trials TY 80 Plastic Kit. The fenders are white, and the side panel is yellow. 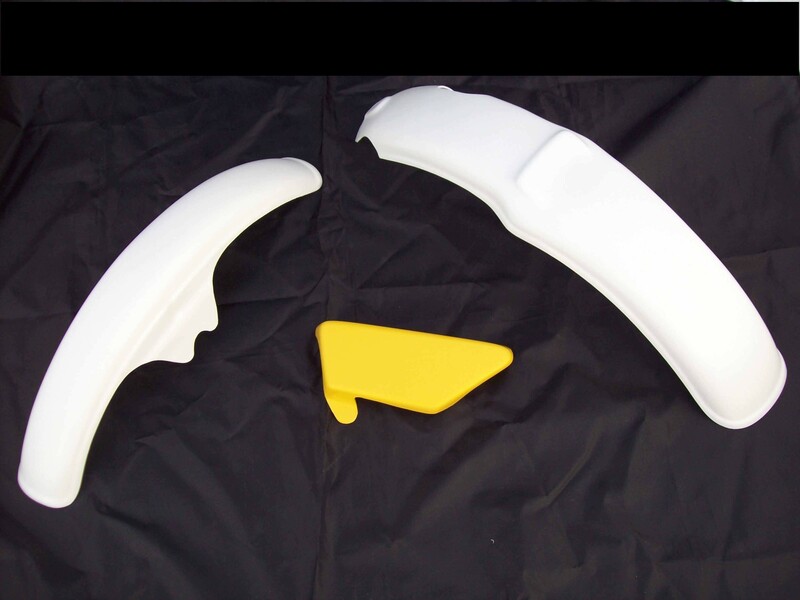 This plastic kit includes a front fender, rear fender, side panel. For individual product pictures, please visit the "Plastic" category. We only have these available in white.